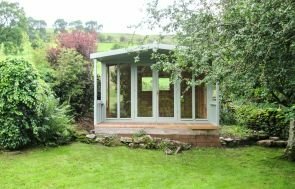 Situated in the idyllic country village of Pimperne, Dorset, this Wiveton Summerhouse has been installed in our customer’s garden to use for alfresco dining in the summer. This Wiveton is 3.0 x 3.0m in size, and is octagonal in shape with four sets of double, opening windows in total to give plenty of viewing potential when you’re inside. 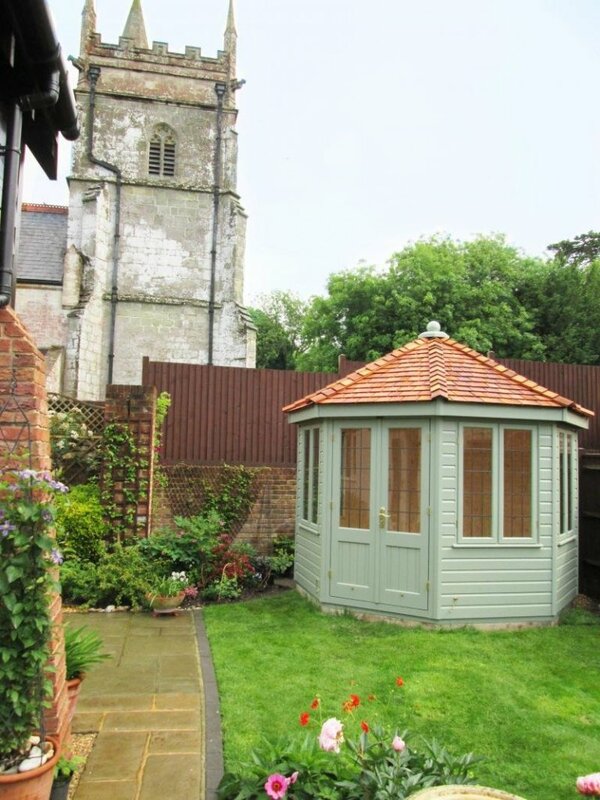 Cedar shingle tiles have been used on the roof of this summerhouse for a more natural look, the windows are leaded in style to give more of a traditional feel, and the outside has been finished with our Valtti paint range, in the green colour, Lizard to help the summerhouse blend in with the garden. Inside, the summerhouse will be cosy, even when the sun has gone down, as it has natural matchboard lining on the walls, and insulation in the walls and ceiling. To give the floor a more polished finished, the customer chose to have a natural lacquer on it, which will also help to protect the timber of the floor. 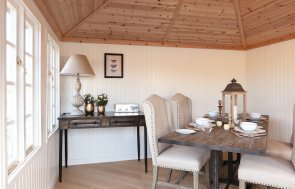 The Wiveton is just one of six different designs in our Summerhouse range, so if you would like to know more about these buildings, you can call us on 01760 444229 and ask us any questions you may have, or you can come and see the buildings at any of our Show Centres across the country where we have a wide range of our buildings on display at each.